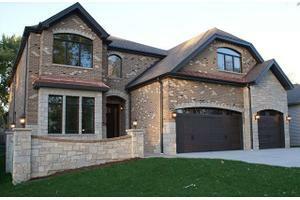 Stunning New Construction- Grand 2 Story Entry With 10Ft Ceilings. Hardwood Flooring Through-Out. Full Finished Basement With Media Rm, Full Bath, Wet Bar and 2Nd Fireplace. Six Bedrooms and Five Full Baths. Master Suite With 2 Walk-In Closets and Bonus Room. 1St Floor Full Bath and Bedroom/Office. All The Bells and Whistles. Too Much To List. A Must See! !